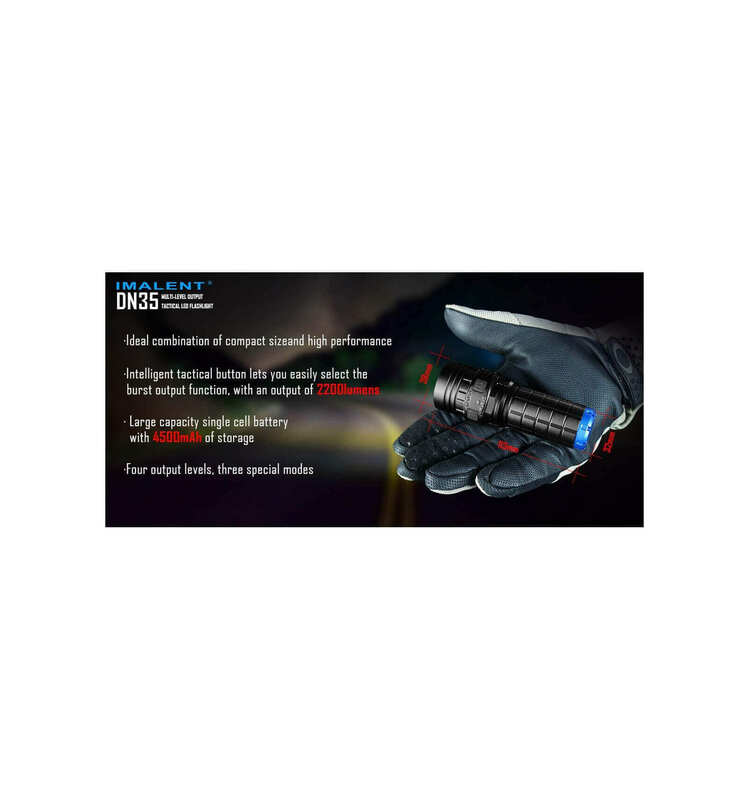 By buying this product you can collect up to 169 loyalty points. 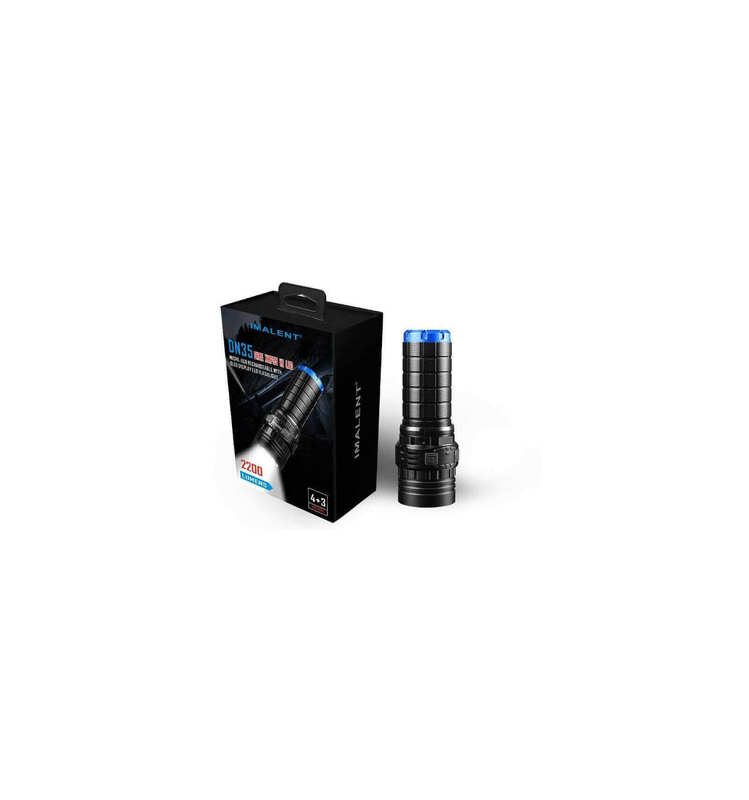 Your cart will total 169 points that can be converted into a voucher of R 33.80. 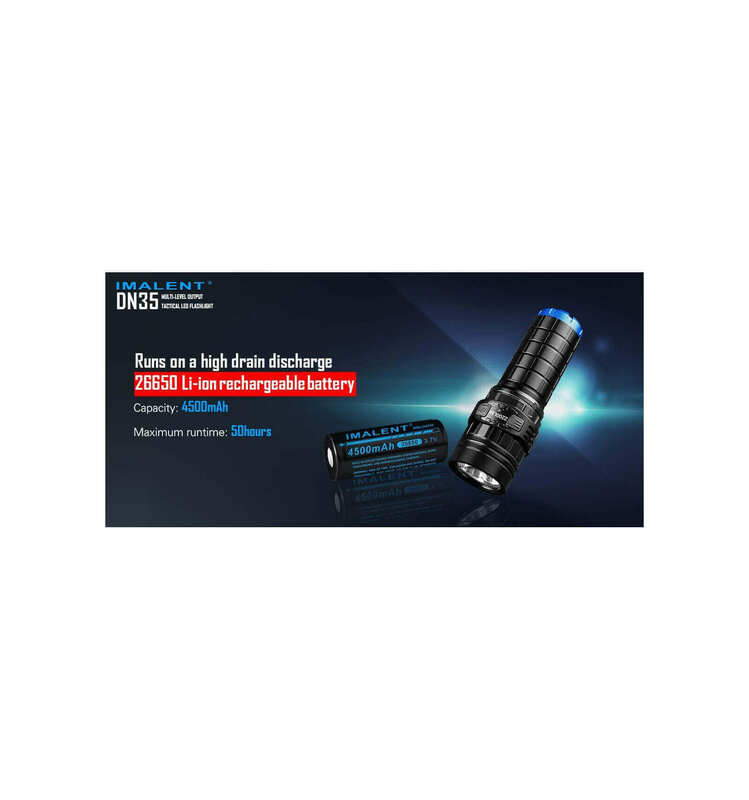 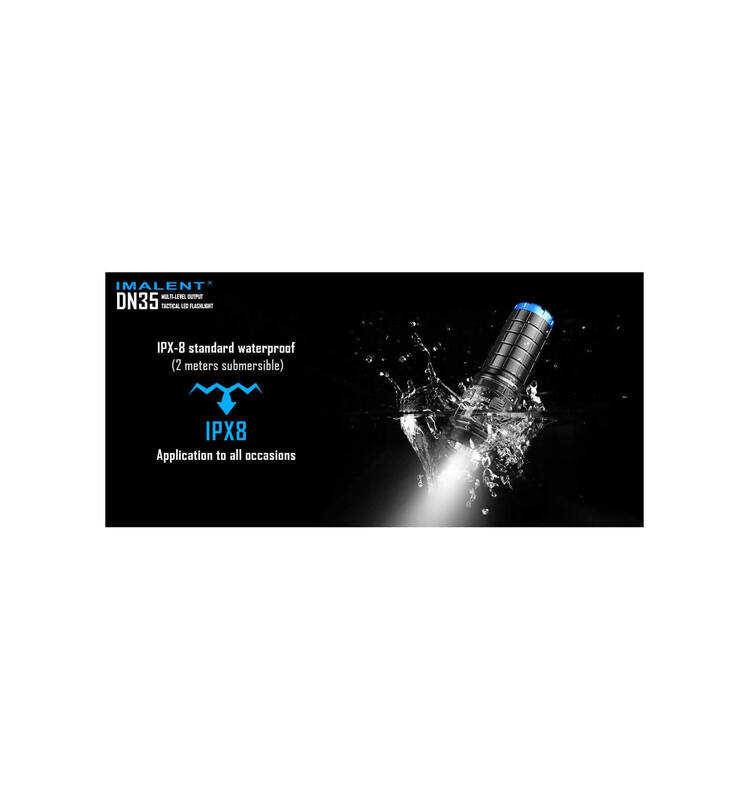 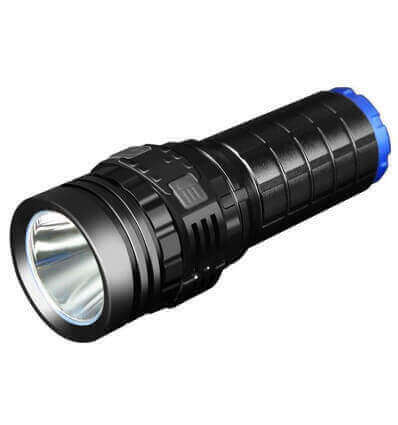 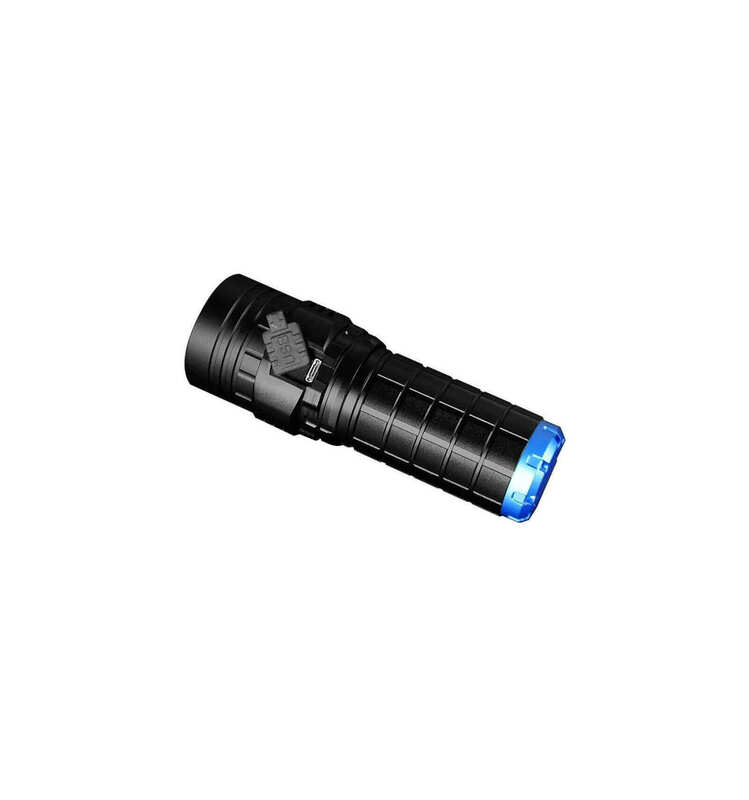 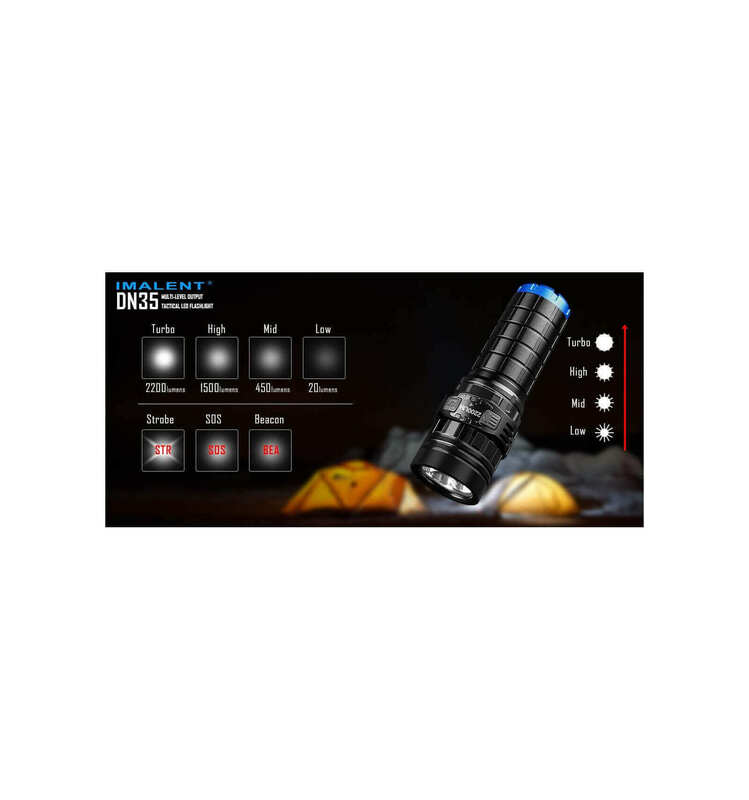 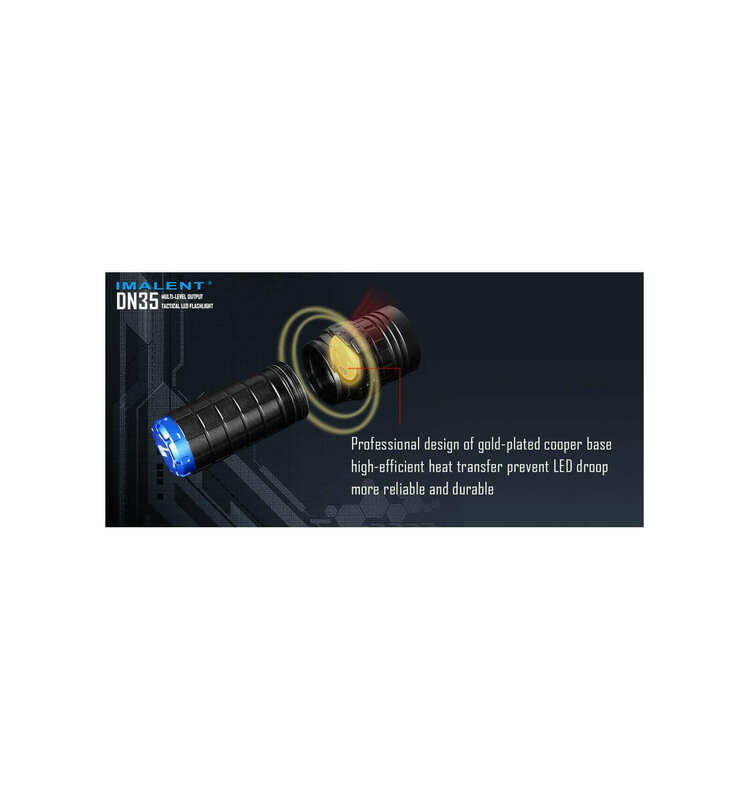 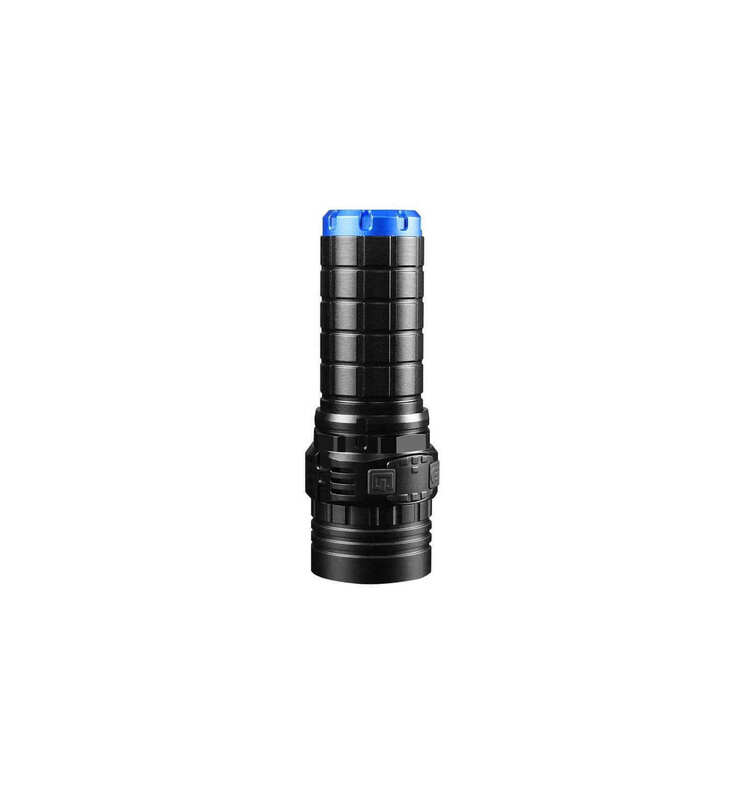 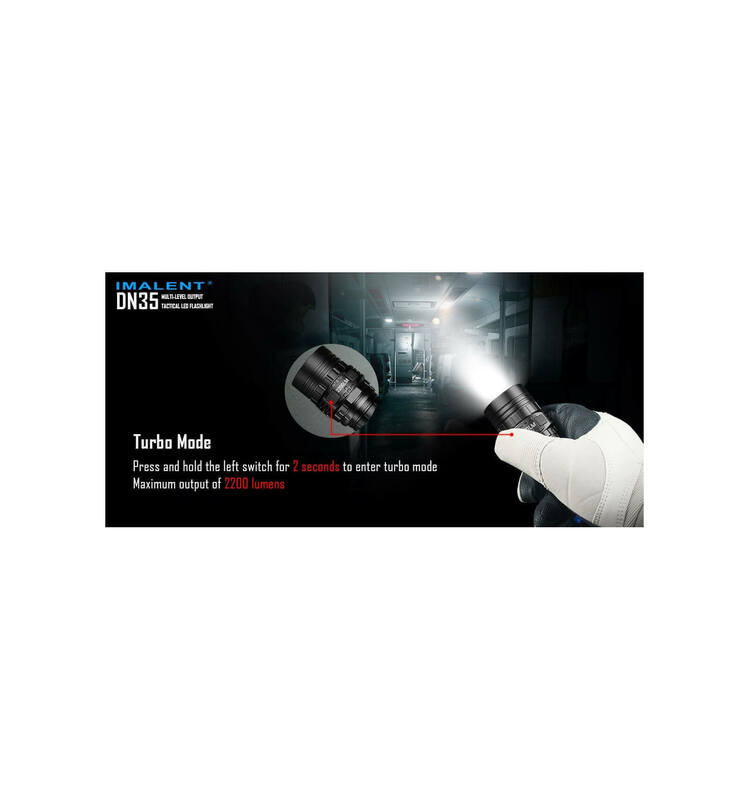 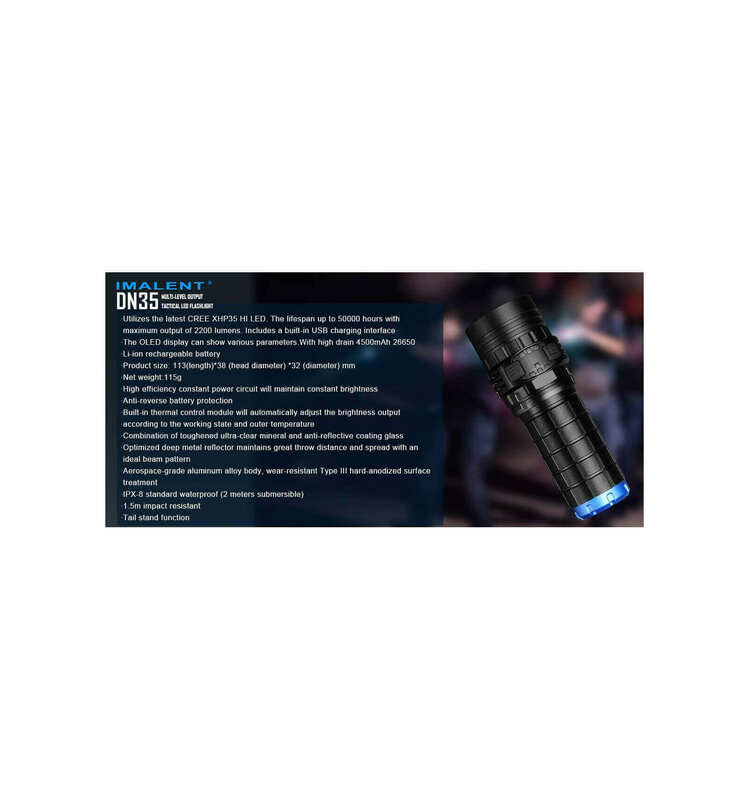 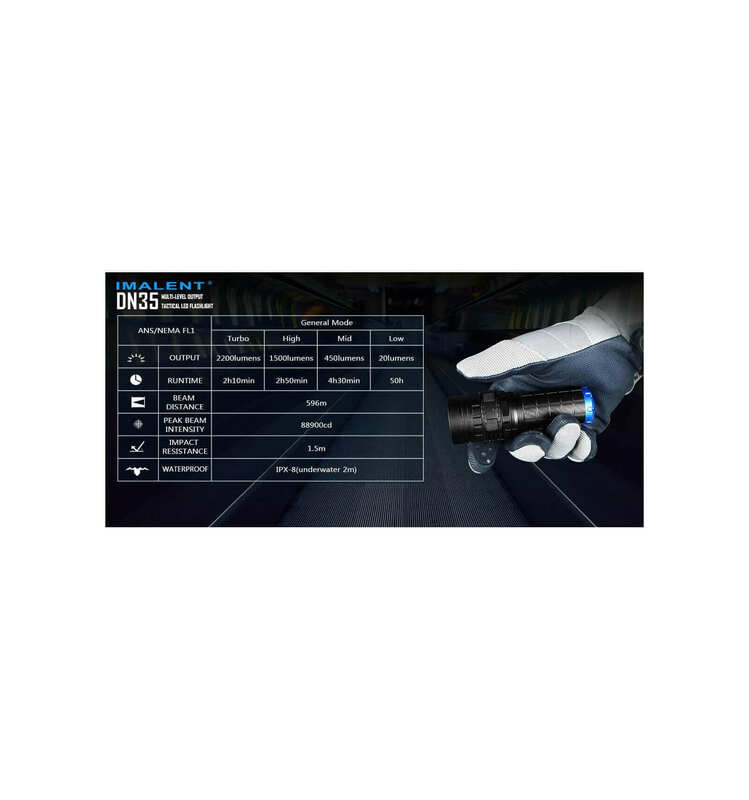 The IMALENT DN35 is a versatile USB rechargeable LED tactical flashlight with multi-level outputs and an OLED display. 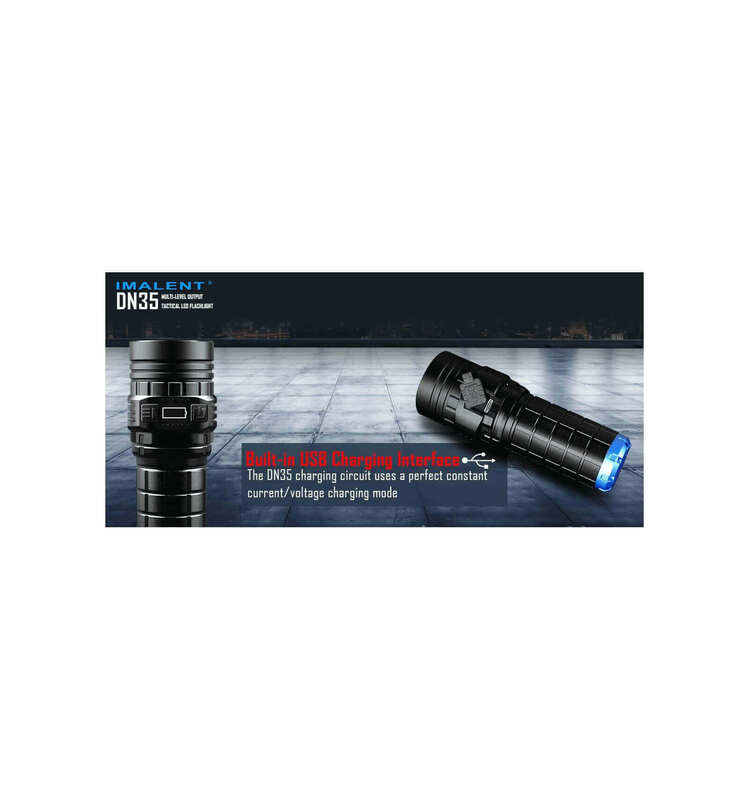 The OLED display shows the battery voltage, output, charging status, and has a flashing overheat warning, which makes it easier to know the status of the flashlight. 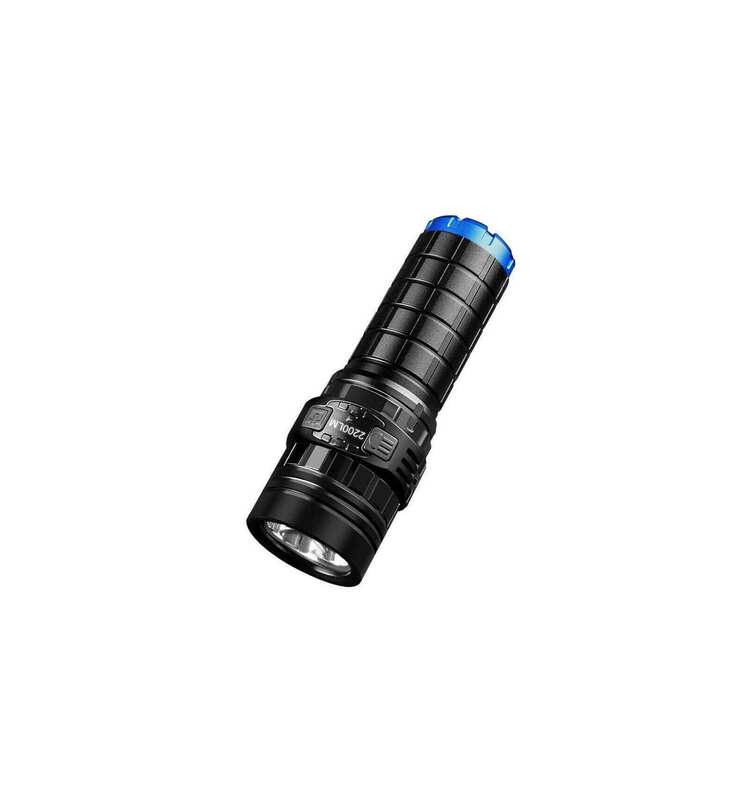 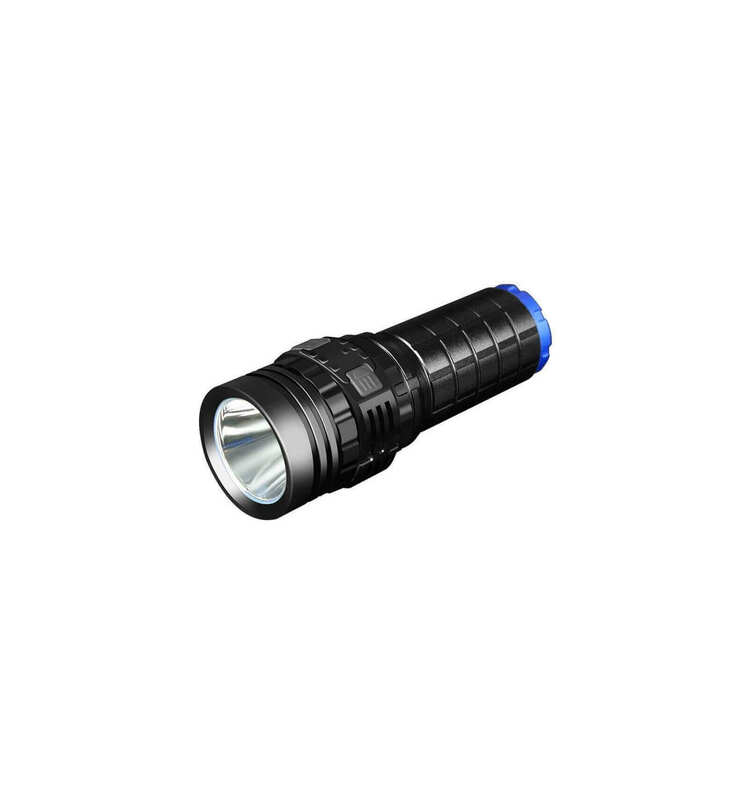 Utilizing the latest four-level output CREE XHP35 HI LED, the tactical-switch button makes it easy to operate. 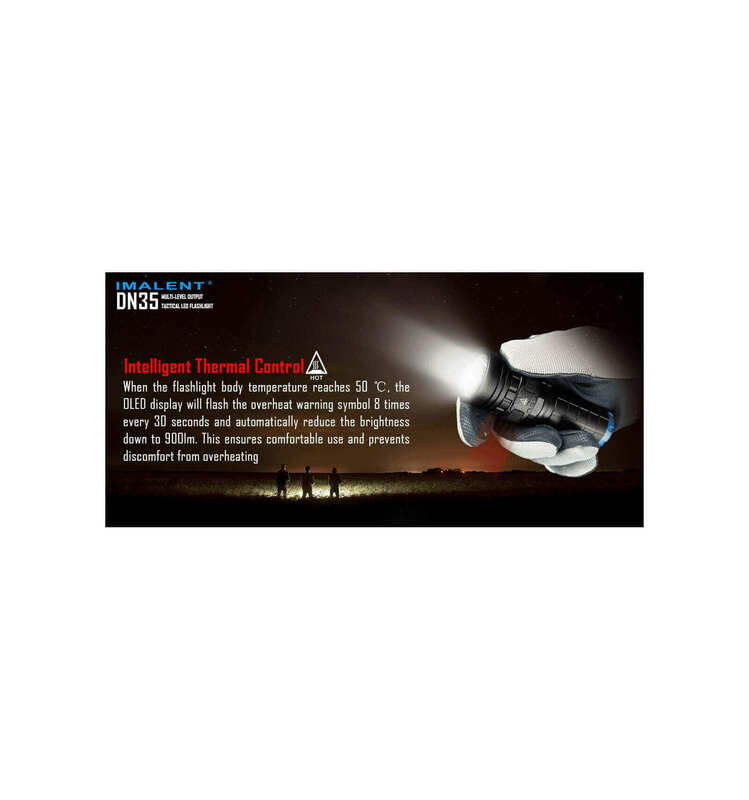 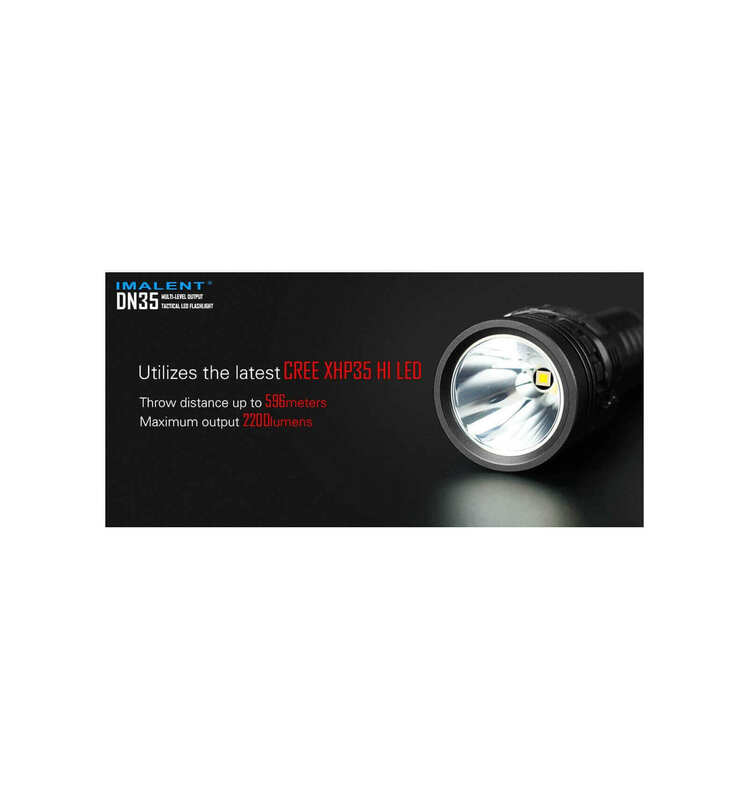 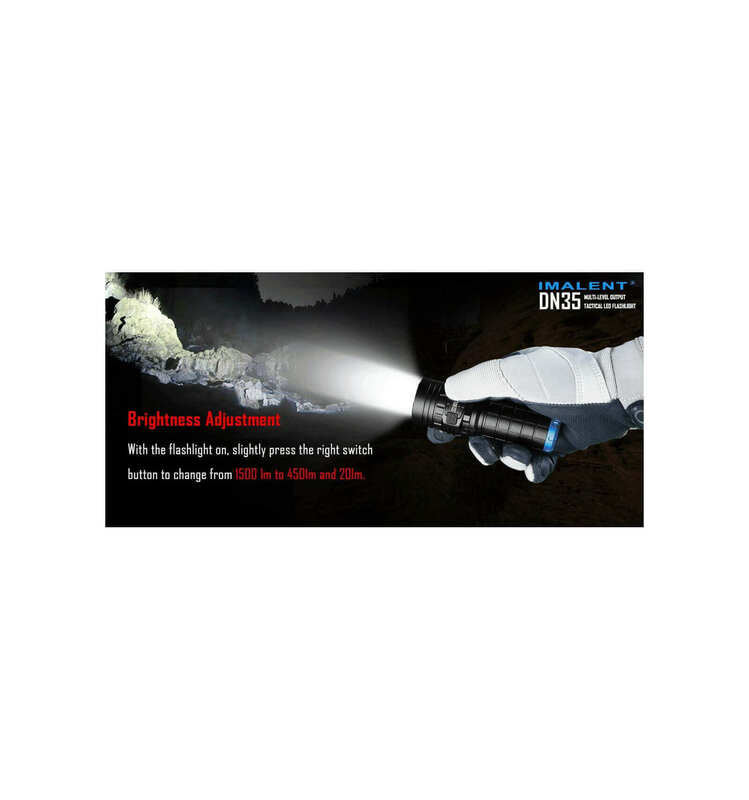 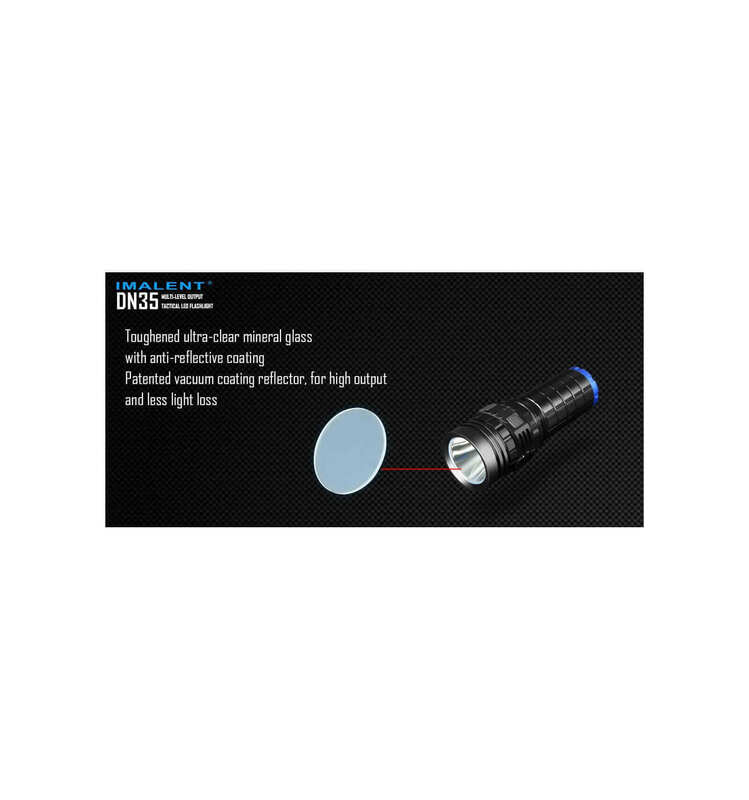 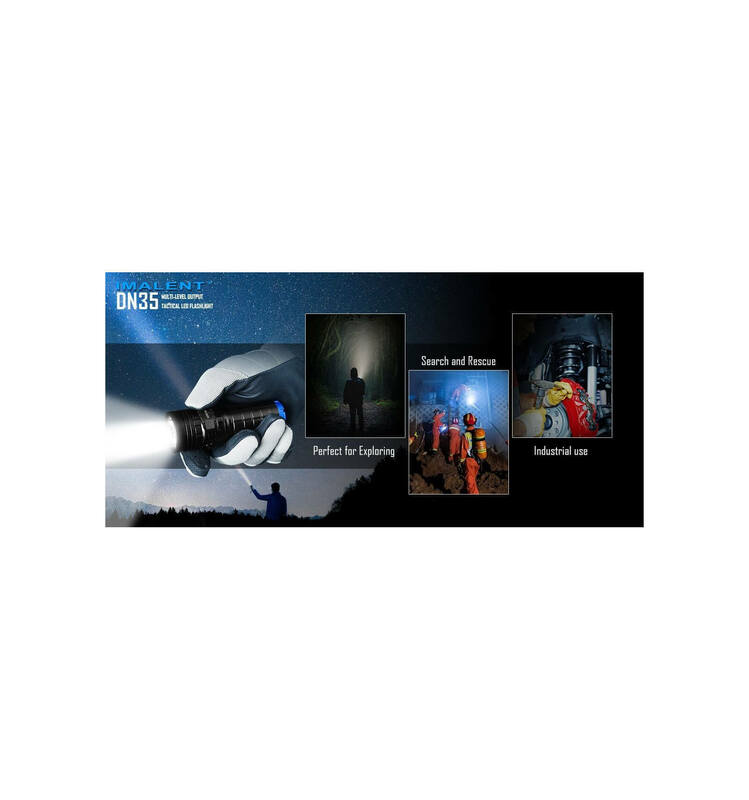 With a maximum output of up to 2200 lumens, the IMALENT DN35 can produce a strong beam of light up to 596meters away. 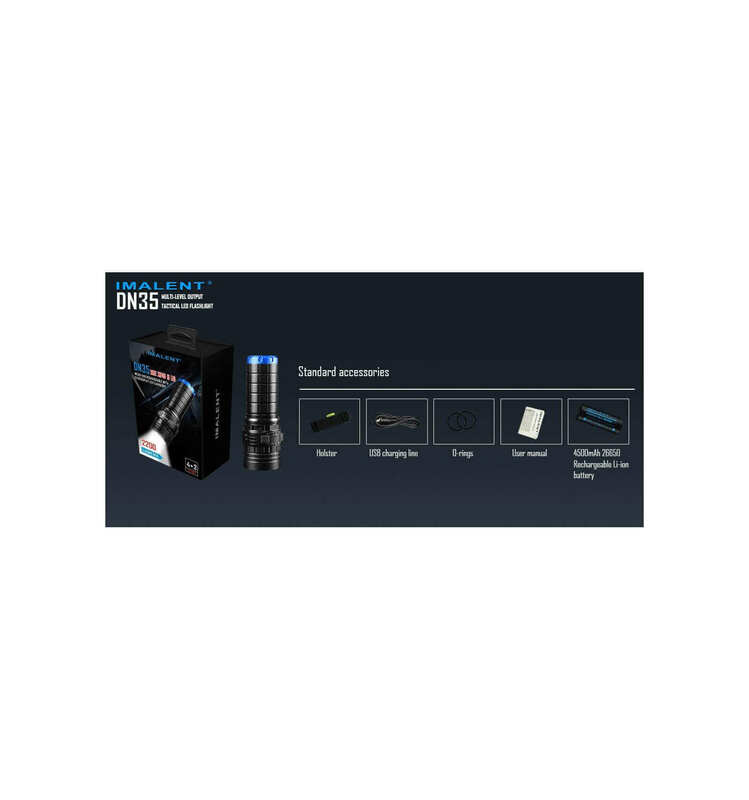 Supported by a single cell of IMALENT 26650 4500mAh Li-ion rechargeable battery, its advanced temperature control module, low-voltage warning, and low-power protection make for a satisfying experience no matter the occasion. 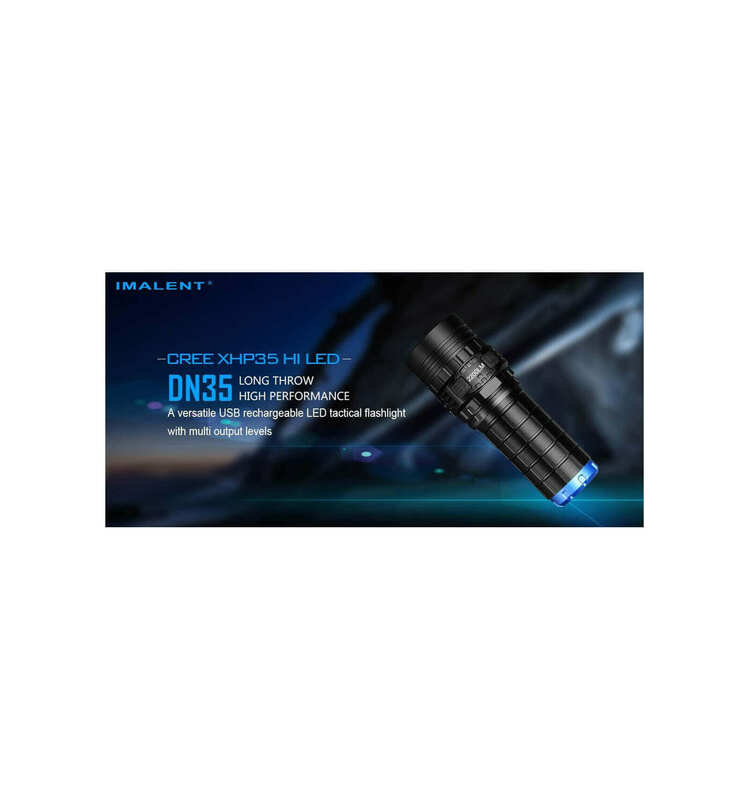 IMALENT DM21T, 1000LUMEN 268M THROW.